The property of 705 George Street was originally owned by the Fox River Hydraulic Company. The Village of De Pere is incorporated. 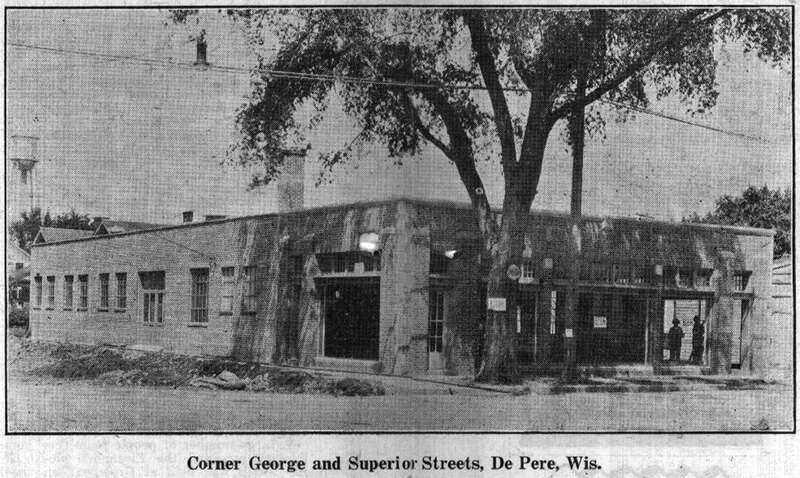 The property that is now De Pere Auto used to be a stable yard. A place for people to park their horses while they went to church or shopping in the neighborhood. 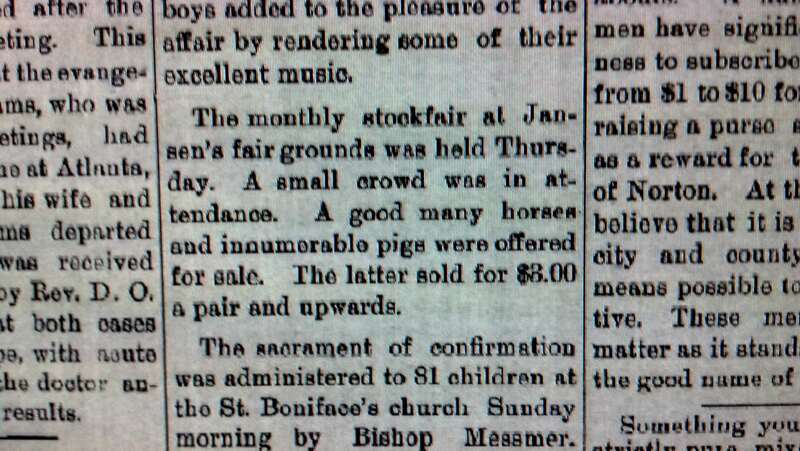 Once a month, it served as a fair grounds and hosted a stock fair. 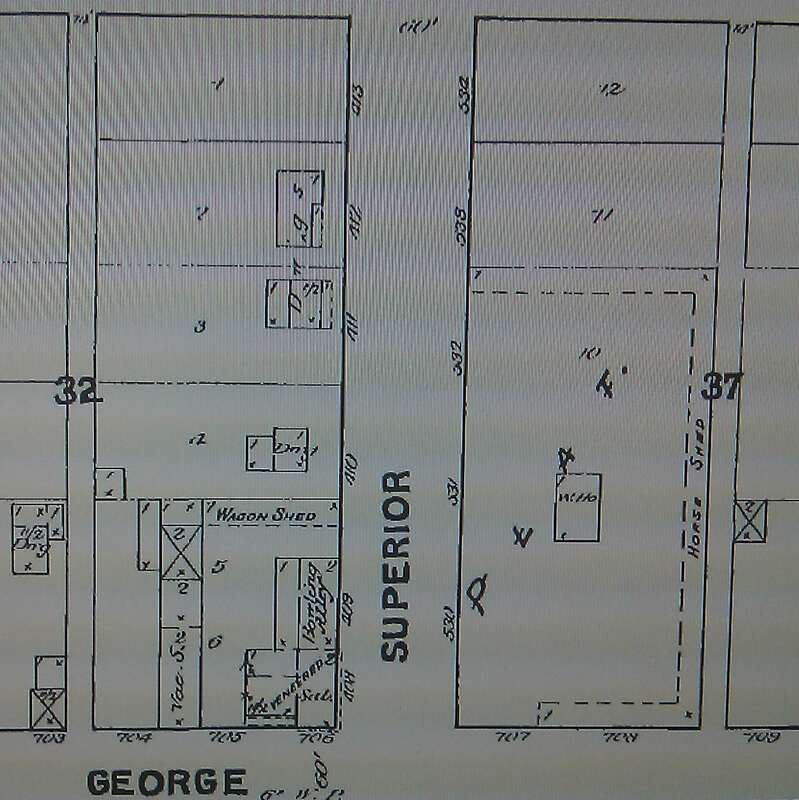 Plat Map from 1890 - Corner of George and Superior. 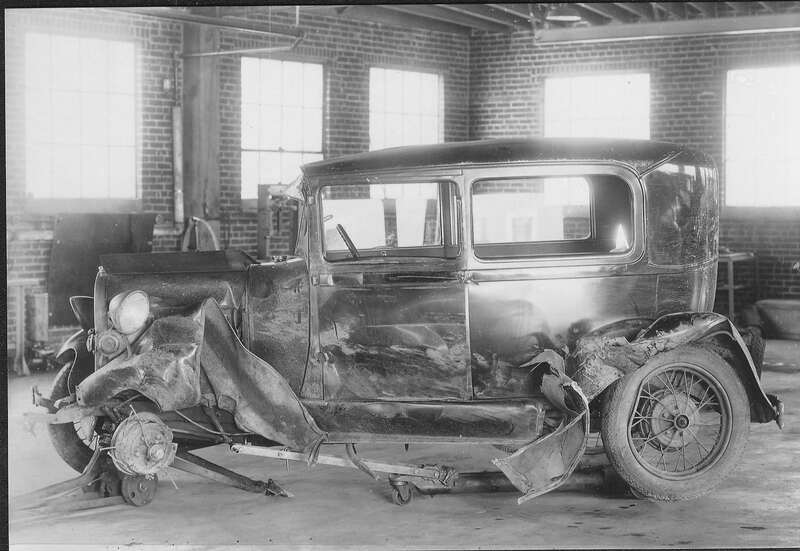 De Pere Auto was a fairgrounds with a horse shed surrounding the perimeter. The building that is now Caliente Restaurant (623 George St.) used to have a bowling alley in the back. 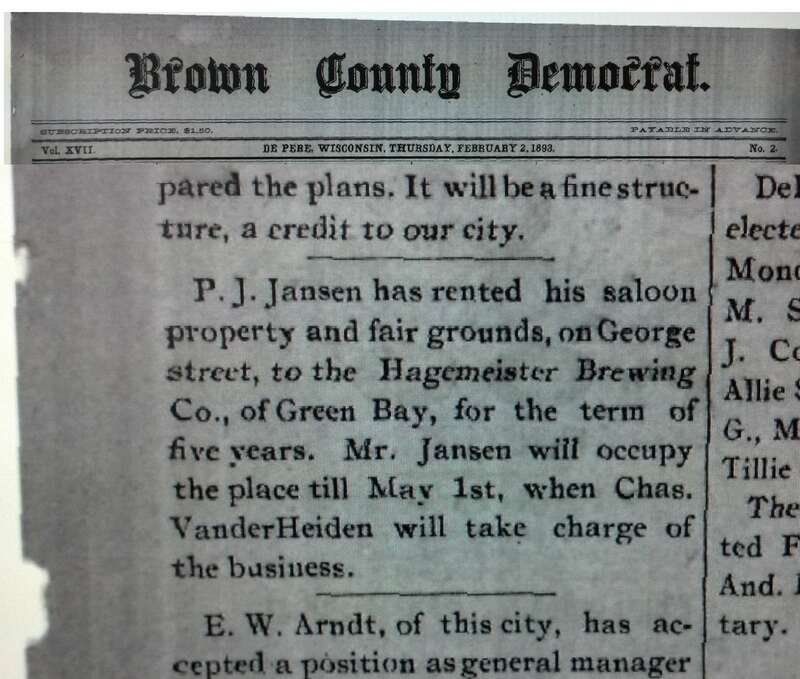 The Fair Grounds on George Street was purchased by the Hagemeister Brewing Company in 1900 for $8000. 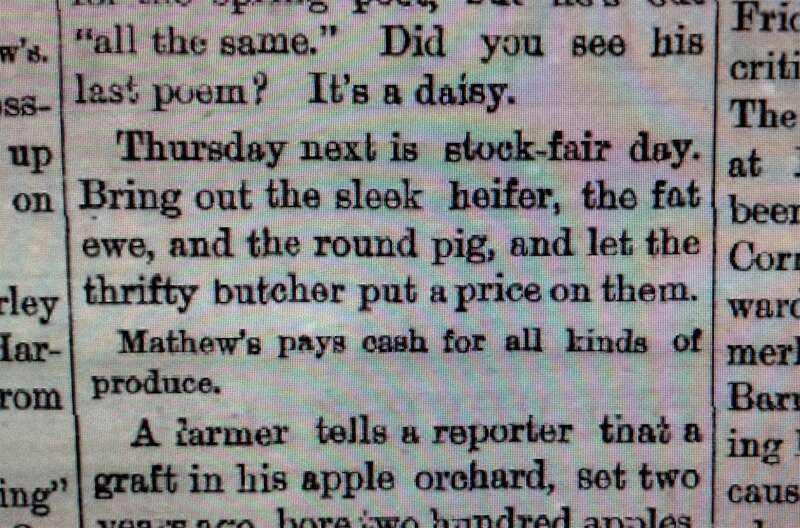 They sold the property along with the saloon for $2000 in 1920 because of Prohibition. The saloon is now Caliente Restaurant at 623 George Street. 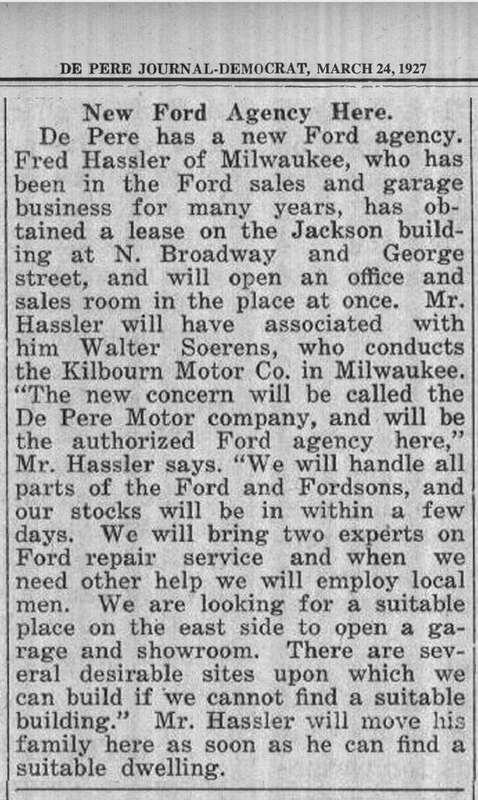 Part of the property (the western 2/3) was sold to the De Pere Motor Company so they could build a new building for their new Ford dealership in De Pere. 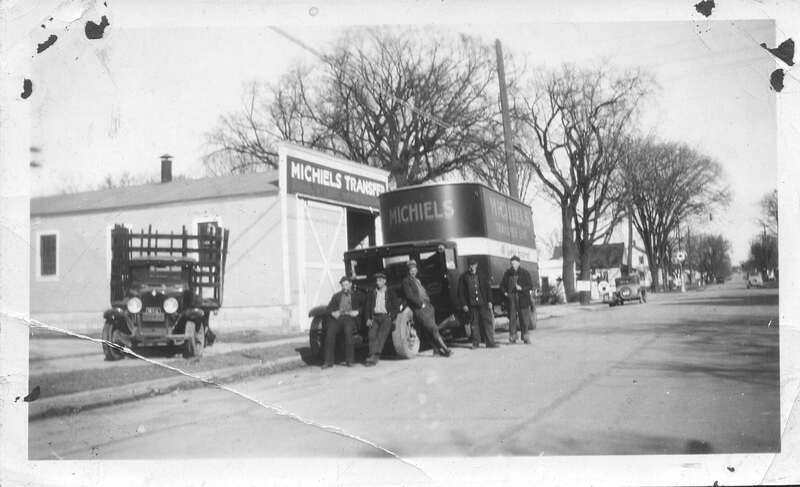 After selling part of the property to De Pere Motor Company, Peter Michiels continued to operate his transport trucking business on the eastern third of the property. This picture was taken looking East on George Street, right across the street from St. Mary's Church and Notre Dame Elementary. It's where our sign is now.